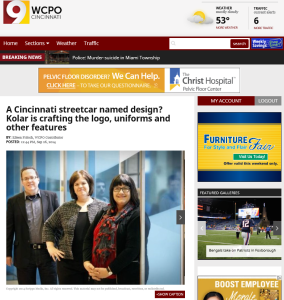 Here are a few magazine articles, online news stories, and blog posts I have written. I love sharing stories of people who have game-changing business models, an entrepreneurial drive, or a passion for the arts. My goal is to inspire readers to take action in an informed, strategic way. The technology for connecting printed packages to online content has improved. Now, designers must help brands develop content that will deliver results. The fashion industry is being transformed by e-commerce and social media. 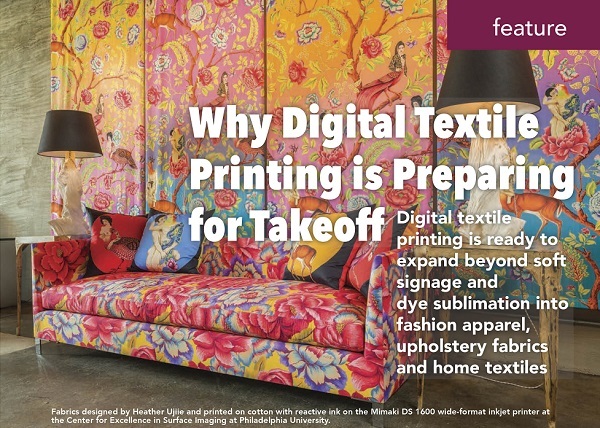 Companies that digitally print garments and textiles will be well positioned to thrive, whether consumers continue to buy a high volume of low-cost garments from “fast-fashion” companies or fewer, more customized garments that are made to order. 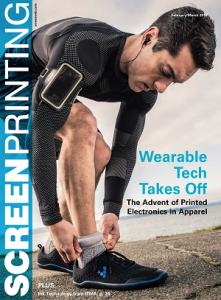 Screen Printing Magazine: What’s Next for Single-Pass Inkjets? High-speed inkjet printing systems are becoming more practical for more applications, including some industrial products for which screen printing or pad printing remain the mainstream method. 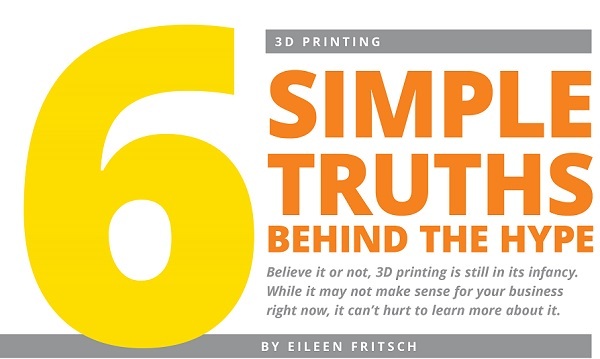 Big Picture: Can Print Shops Benefit from 3D Printing? Until now, the 3D printers shown at printing conferences have been slow, box-like devices that slowly output small models, prototypes, and doodads. That’s about to change with the introduction of the Massivit 1800, the first large-format 3D printing for displays, signs, and themed environments. A new generation of industrial-grade, high-speed inkjet printers is enabling digital textile printing to expand beyond “soft signage” and into fashion apparel, upholstery fabrics, and home textiles. In printing environments, dynamic scheduling software can help you visualize how a change on one job might affect your ability to complete and deliver other fast-turnaround jobs in the pipeline. It is becoming an increasingly important tool in printing firms with a mix of higher-speed flatbed printers and finishing devices. The Internet of Things is changing the way fashion designers think about textiles and manufactured garments. Electronically interactive ‘smart clothing’ could help everyone from infants to the elderly live safer, healthier lives. Screen printers are playing an important role in researching what’s possible. While industrial inkjet and 3D deposition printers are quickly being developed to make printed electronics, rotary screen printing equipment is already being used to print RFID antennas and blood glucose sensors. Traditional cylinder and flatbed lines are being used for a host of other applications. As commercial print providers expand into wide-format graphics, they don’t want to learn how to different RIP software programs for each device. They want to continue to use familiar, automated PDF-workflows for preflighting file-preparation errors, meeting brand color standards on multiple devices, and setting up finishing files during prepress. 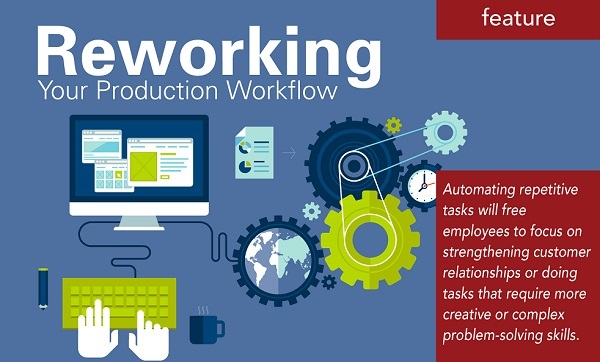 Learn how moving to an automated PDF workflow can free your employees to focus on tasks such as building customer relationships and meeting clients’ requests for innovative solutions. SGIA Journal: Are You Ready for a Single-Source Contract? If a big client chooses your company to provide millions of dollars of services over the next few years, are you prepared to handle everything the client might expect? The use of screen printing equipment for P-O-P and retail graphics declines as orders for shorter runs of more customized materials rise. A look at some trends in retailing explains why the demand for shorter runs will continue to rise. This article in the October 2014 issue of Big Picture magazine compares the hype surrounding 3D printing to the early days of large-format graphics printing and explains why large-format graphics producers might consider adding 3D printing as a service. An overview of direct-to-garment printers for all types and sizes of businesses. In this article in American Airlines’ in-flight magazine, gallery owners, collectors, and consultants explain why buying art should be exhilarating, not intimidating. An overview of the digital and traditional methods of printing art reproductions. Smaller flatbed printers make it possible for more businesses to print images and graphics on three-dimensional objects. How computer-to-screen systems can save apparel decorators time and money. A growing community of artists and designers is enthusiastically experimenting with good old-fashioned screen printing. The press backgrounder for STS-62 describes an experiment that NASA Lewis Research Center scientists conducted to gather data for the design and construction of the Space Station power system.